Love dinosaurs? What child doesn't? 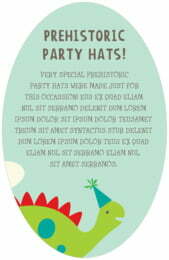 And this one is a fun dinosaur, with a party hat and a smile of anticipation! 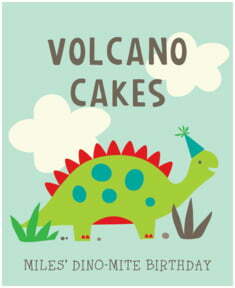 Get ready for fun with this cute little guy and his bright dinosaur dots. All you add is the words… and the birthday party. 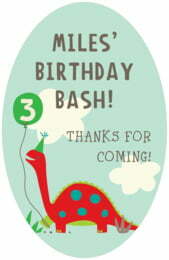 Customize your Dinosaur party labels & stickers today to add a special touch to your celebration.